For the first 3 years of my Child life my yoga is my kids. 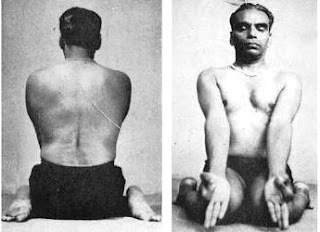 That is what BKS Iyengar once said. Not to me, but was repeated to me from my teacher Carolyn Belko. So everything else I do on top of that is extra credit right? That is good because adding in an hour or hour and a half of yoga every day is hard with children. There is no good way to do it. Best way during the day, hire someone to keep the kids occupied. I'm serious. Kids are naturally very interested in yoga. Mom is bending this way and that, she is going upside down, is a great time to copy mom and try to get her attention. If you can't hire a babysitter for the kids, try an in house Mom's helper, they are cheaper, but still honestly how many of us can? I tried having my kids come with me to Inshape and have them be in the kids area.... ya we have gone maybe 2x since I have done that. If I do that every day then the few hours they get with me after school would be spent at the gym, and I don't want that, on top of the expense of having them on your gym membership. So your at home, alone, with your kids what do you do? I have told my kids to go outside and play, my two older ones this works well for at least 45 minutes. My youngest it depends. I did this one time then I went and did my inversions, I got knocked over by my baby, then he gave me a bloody nose. So he goes in the crib when I get ready for inversions and I am practicing while he is awake. If you do not have an outside to do that with then you can have them read while you do yoga, or do it during nap time. That has never worked for me because it takes me so long to get them down by the time they are down I am exhausted I want to sleep! 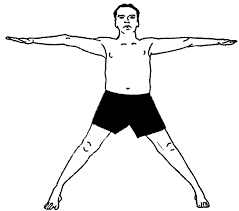 You can include them in your yoga. 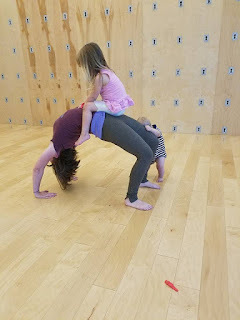 My kids have yoga mats and I have so many yoga games that I have found and the kids love them. But they are usually only good for 30 min max. 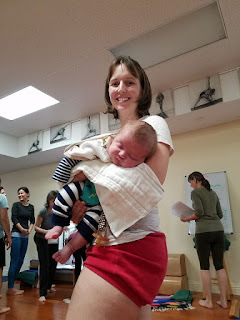 And I do not feel I get a good yoga session out of it, it is more playing with the kids, which is really good to do, but not what I was trying to do. Your other option is to do it in the morning before they get up, or wait till after they go down to bed. Honestly I typically wait till they go to bed to do yoga. I am no longer a morning person. I wish I still was and could get up at 5 for a yoga routine, but I can't. So I wait till they are asleep then pull out my mat and get a good long session in before I go to bed at night. Sometimes that means I do not start till 9pm. 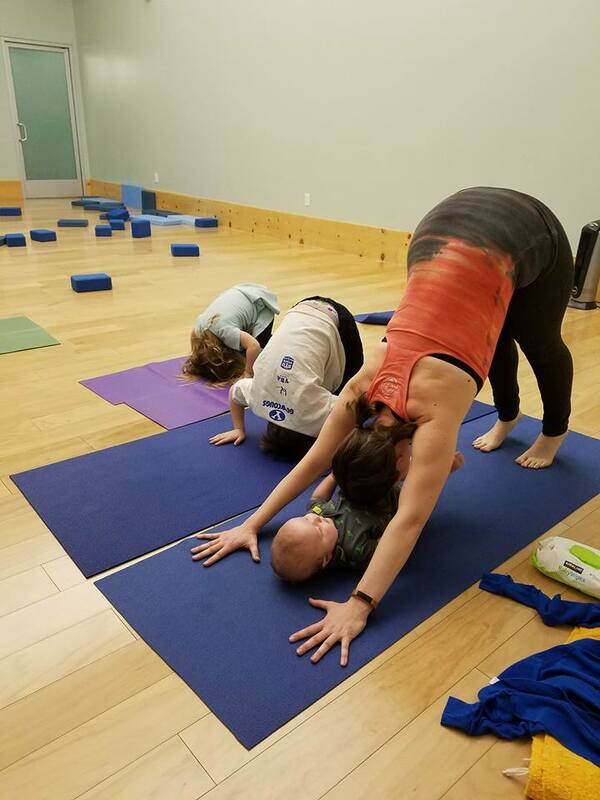 I have tried SO many different options and failed at most of them, there is no right answer to do yoga with a child in your life. Just know that your child is your yoga practice and everything else is extra. I reminded that to myself the other night when my baby needed me at 9:30 and took over my yoga practice.